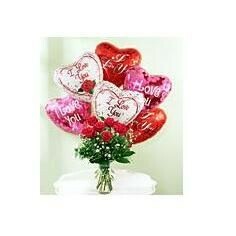 6 Roses & 6 Mylar balloons! Who could ask for a more fun bouquet. Balloons can be any occasion ~ let us know!